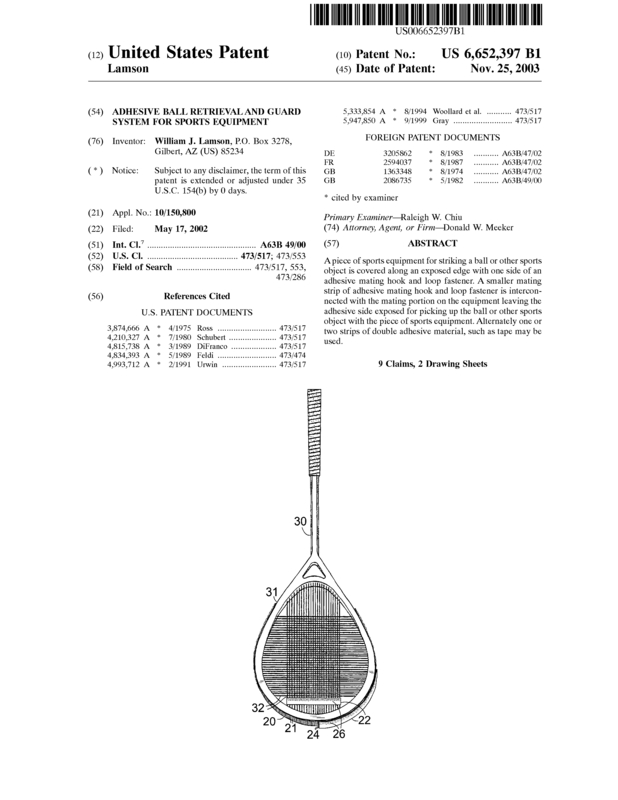 A bat, club, or racquet used for striking sports balls is covered along an exposed edge with one side of an adhesive backed - mated hook and loop fastener strip.. A shorter length of mated, adhesive backed hook and loop fastener strip is then attached to the base portion leaving the adhesive side exposed - facing outwards for picking up the sports ball with the striking instrument. Additionally, strips of double sided adhesive foam tape may be used as well. Page created at 2019-04-23 6:41:57, Patent Auction Time.